Oliver was diagnosed with Acute Lymphoblastic Leukemia in December 2016 at the age of 4. He came down with pneumonia and a week later we were at Children’s Hospital of Richmond learning the ropes of lumbar punctures and neutrophil counts. To be honest, most of that is a blur. 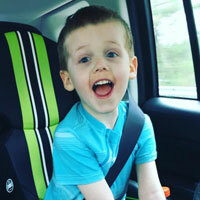 Now, more than 6 months after being handed more at the age of 5 than most people see in their entire adult lives, Oliver is thriving and on a path to kicking cancer exactly where it hurts. He is expected to finish treatment in May of 2020. Doctors, family, friends, and strangers alike are constantly blown away by Oliver’s vivacious attitude, and full head of hair this far into the game (4 haircuts since his diagnosis!). Our tiny superhero has not slowed down one bit. He is constantly “ghost hunting,” playing with his favorite dog, Zoe, or giving his mother a run for her money being a speed demon on his favorite green bike. We consider ourselves extremely fortunate. 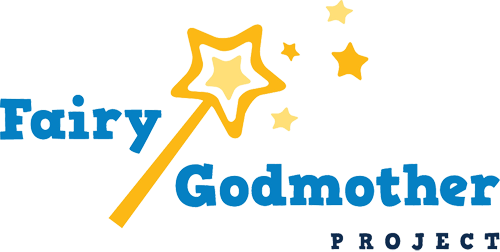 We cannot express the gratitude we feel for the support, and community that our Fairy Godmother’s have given us. If we HAD to be in this mess, I’m glad to say we were able to meet some amazing souls in the meantime.